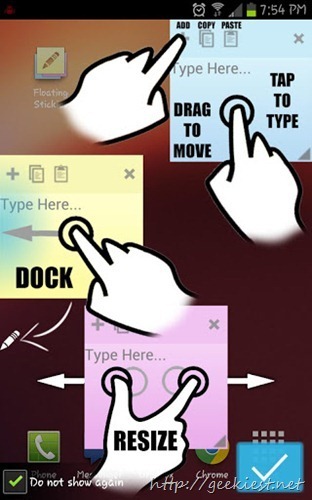 Floating Stickies is a sticky note application for Android devices. Using this application you can have a resizable floating sticky pads (which will stay over the top of all other apps), and which you can doc to the left side by just dragging it to the left side of the screen. If you use sticky notes on your android devices you may like this and give it a try.